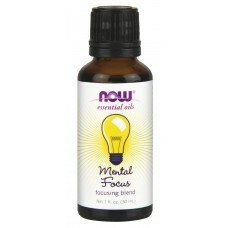 Personal Care : Mental Focus OIl Blend 1 oz. Home » Personal Care » Mental Focus OIl Blend 1 oz. Mental Focus OIl Blend 1 oz. Ingredients: Lemon Oil, Pepperment Oil, Wintergreen Oil,Basil Oil, Rosemary Oil, Grapfruit Oil.